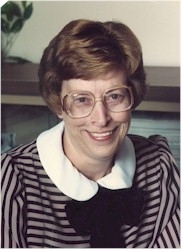 Joan Woodman, 66, died at her home, Tuesday, April 28, 2009, after a period of declining health. Born in Little Rock, Arkansas, she was the daughter of Carl H. and M. Louise Shadle Brown. Educated in local schools, she was a 1960 graduate of Hall High School in Little Rock. March 20, 1964, she married Timothy Warren Woodman in Little Rock. The couple made their first home there and moved to her husband’s Owls Head home in 1968. After moving here, Joan first worked with the medical practice of Thomas W. Williams, M.D. Over the next years she devoted her time to raising her sons. Returning to the work place, she worked more than ten years as a secretary/bookkeeper with ASK Home Health Care. More recently until her retirement, she was employed in that same capacity with Owls Head Heating Oils. Joan’s greatest passion was her family. She was actively involved in the lives of her grandchildren, nieces and nephews. While her children were in school, she served as a Parent Volunteer at Owls Head Central School. For more than 40 years, she was an active member of the Owls Head Baptist Church where she served several years as church clerk, church treasurer, and was involved in various other church activities, boards, committees and programs. She enjoyed collecting owls, sea glass, antiques and china; junkin’; feeding and watching birds; keeping plants and working in her flower gardens; going on foliage rides; traveling with her husband and keeping pets. An avid Red Sox fan, she could also be seen often reading and doing crossword puzzles. Joan was pre-deceased by her Father; her paternal grandparents, John G., Sr. and Margarite Funk Brown; her maternal grandparents, M.C. and Alma Van Pelt Shadle; and a nephew, Stephen M. Bobbitt. She is survived by Tim her husband of 45 years; her mother of Little Rock, AR; two sons, Michael W. Woodman and his wife Sheila of Clinton, Scott G. Woodman and his companion Sarah Havener of Owls Head; her sister, Joyce Ann Bobbitt of Benton, AR; four grandchildren, Samantha Stanley, Brandon Woodman, Noah Woodman, Jerzey Woodman, and Chelsea Wile whom she considered as a grandchild; her brother-in-law and sister-in-law, Carl and Linda Woodman of Owls Head; nieces, Donna M. Bobbitt of Mabelvale, AR, Dawn Watkinson and her husband Christy of Owls Head; a nephew Jeffrey Woodman and his wife Christina of Owls Head; as well as great nieces and nephews including Jessica, Jacob, Grace and Zachary. Joan’s family will gratefully receive friends and relatives from 3:00 to 4:00 p.m., Saturday, May 2, 2009, at the Owls Head Baptist Church, South Shore Drive, Owls Head, with services following. A reception will be held after the service at 104 Limerock, Rockland. Those who wish may make memorial contributions to the Owls Head Baptist Church, P.O. Box 81, Owls Head, ME 04854 or the Humane Society of Knox County, P.O. Box 1294, Rockland, ME 04841.